ND Royal Carlie Quinata is a leader, volleyball champion and volleyball league MVP. What you didn’t know is that her volleyball talents weren’t gifted, but instead earned. Hard work a determination continue drive the young star even in the face of adversity. The St. John’s Knights needed three sets to get a victory over the JFK Islanders to keep their hot start to the 2018 IIAAG girls volleyball season alive and well. Drew Dober talks with GSPN! 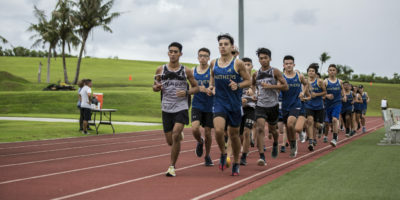 It’s a new year for the IIAAG cross country season and the new look Okkodo Bulldogs managed to win their first meet against their former head coach. 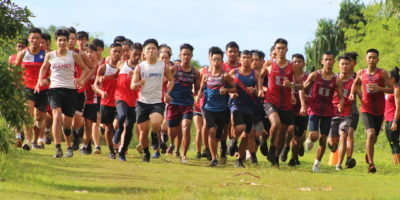 The Bulldogs boys team notched a 19-39 victory over the St. John’s Knights team now coached by Okkodo former head coach Desmond Mandell III. 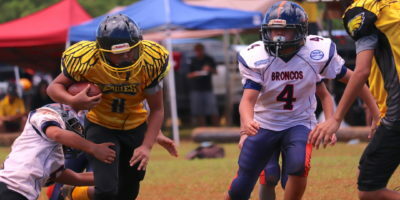 In the third week of GNYFF football, the Island Eagles would successfully defend their home field in their Manha matchup with against the visiting Broncos. 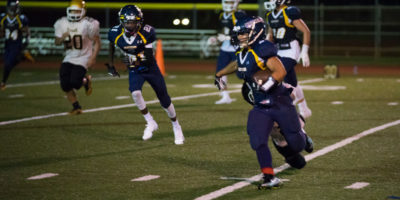 The JFK Islanders were riding defensive highs as they blanked the Southern Dolphins 23-0 at the JFK Field Saturday evening. 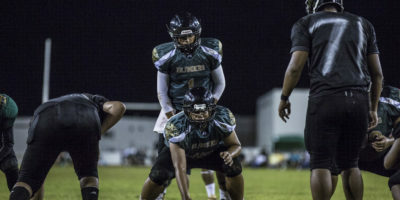 The Guam High Panthers opened up their 2018 IIAAG Football season with a 52-0 victory over the Tiyan Titans.